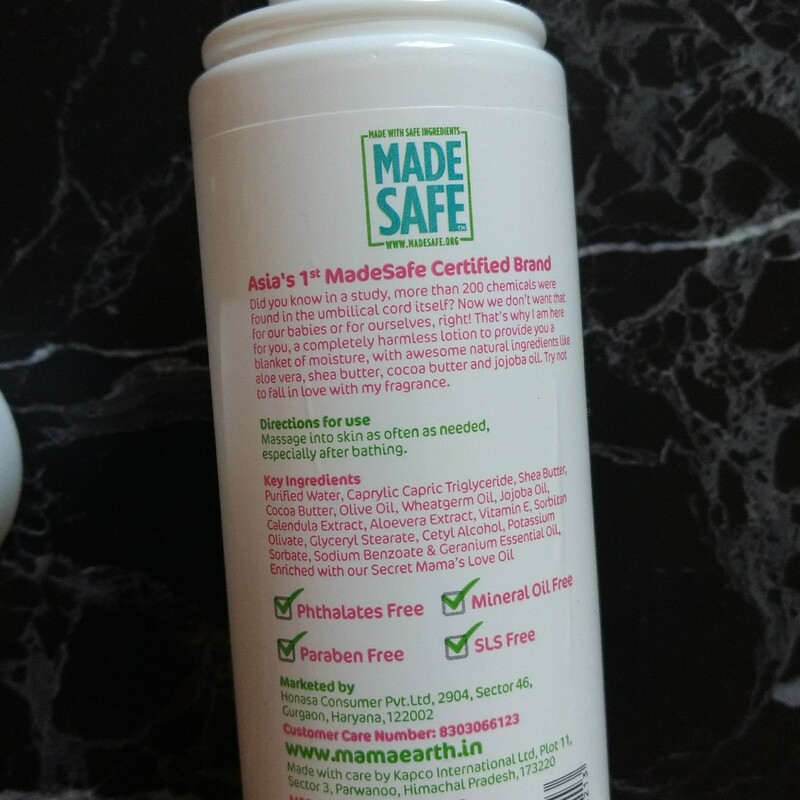 I have repurchased Mama Earth products quite a few times for my son, the body wash and shampoo to be specific. I totally like their packaging as I have travelled while carrying them and never had a problem at all. Recently they came up with their Mama Range meant solely for new moms and moms-to-be. 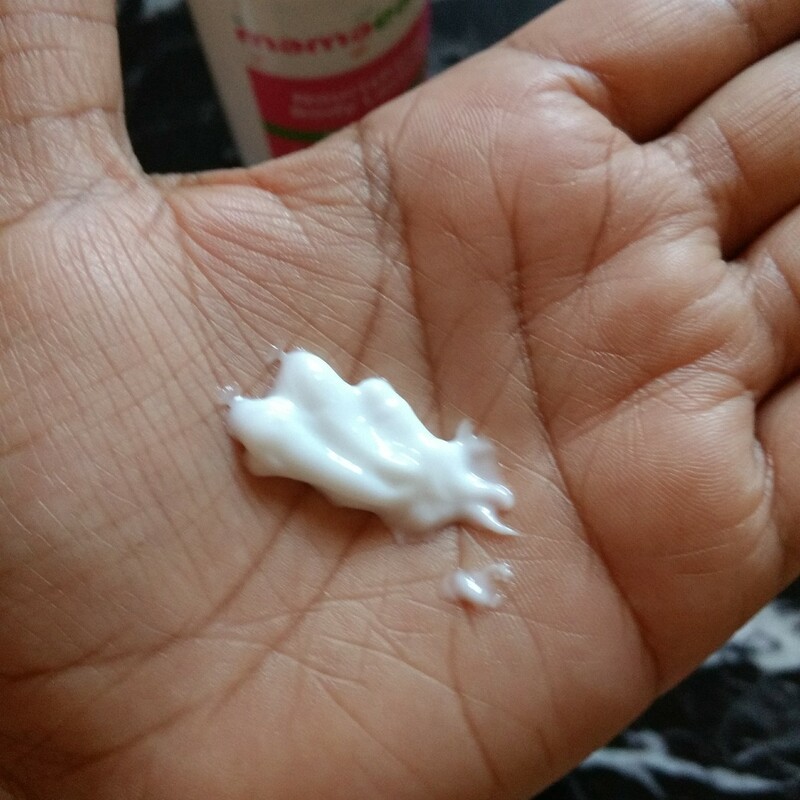 Let's head straight to the review and see whether the lotion is a hit or miss. The product packaging is a total winner, having double caps which fit in tightly as well as a pump up packaging. The packaging has not even a sleek chance of leakage. The pump up packaging works fine but dispenses small amount of body lotion. So if you want more amount of lotion you may have to pump endlessly. But since the packaging is very travel friendly I don't have any qualms regarding the small pump size. Coming to the consistency of the body lotion it is a bit thick (read non runny) and colour is white. 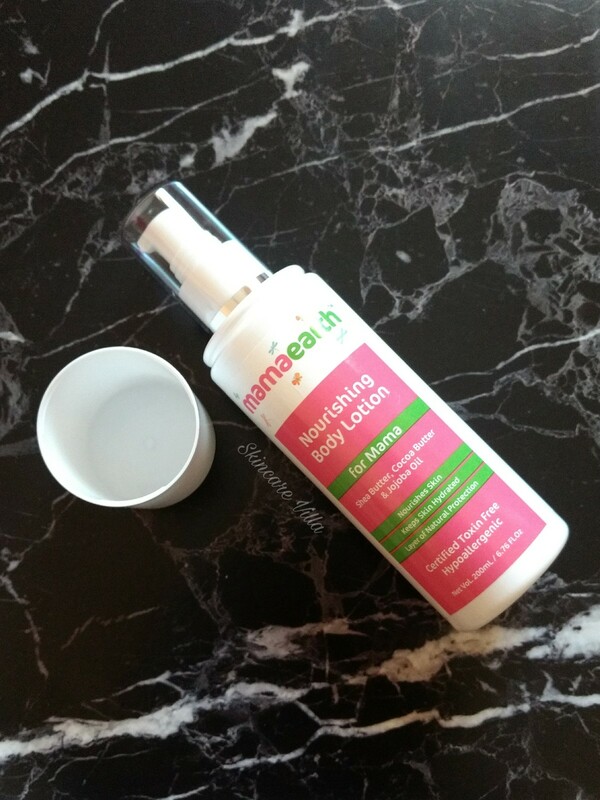 The lotion spreads easily on the skin and gets absorbed even easily. Coming to the fragrance of the body lotion it has a floral aroma (guess because of Geranium Essential Oil) which is quite soothing and uplifting. The fragrance fades away as soon as you apply the lotion. I would have loved if the fragrance lingered a bit, as it is soothing and calming. But since I have a sensitive nose I don't mind if the fragrance doesn't linger. The body lotion hydrates the skin sufficiently and moisturises normally. The skin doesn't feel overtly moisturized or no sticky residue is left behind, considering the fact that it has butters in it. The lotion offers around 8-7 hours of moisturization, considering the fact that I have normal body skin. After 7 hours my skin it's overtly dry or I don't feel the need to reapply the lotion. However applying post 7 hours is recommended if you have dry skin. 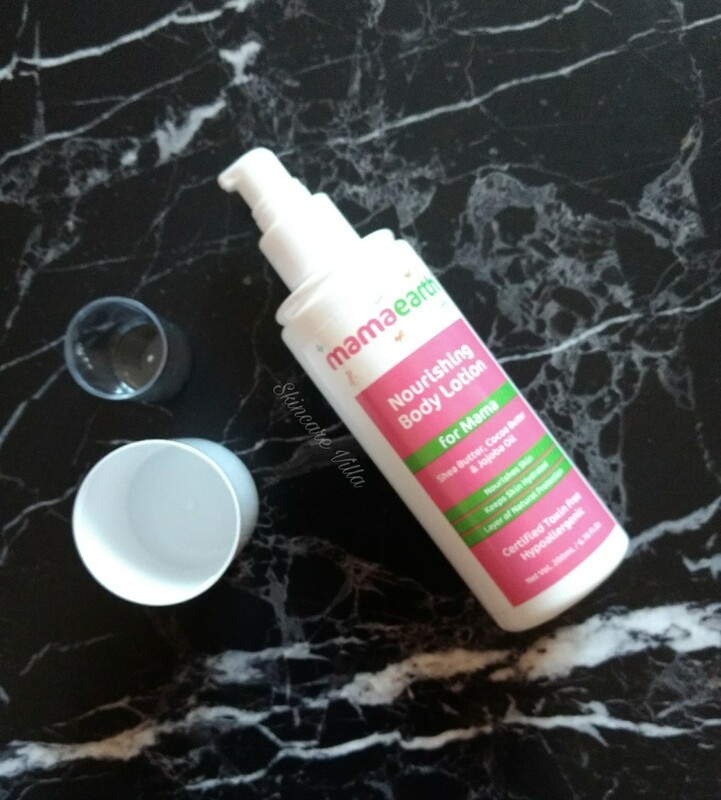 Overall the moisturising lotion is a good option for moms-to-be and new moms considering the fact that they are paraben, silicone and mineral oil free. Since there are not many products suited for pregnancy and post pregnancy use, this one is totally recommended.